Mom/Mother/Momma/Mommy/that Woman – I have been called one of these or a variation of (and sometimes not in a good way) by one or more of my four adult children from the time they were born. Honey/Sweetheart/Babe/Darling/Bride – these and similar words are what my wonderful husband has called me since we’ve been married. Sis – this is what my brother always called me or our sister and since his death, what my sister and I call each other. Mike-Wendy – It has to be said really fast and the person has to pretend that the first part hasn’t been uttered. I was many years younger than my sister (Mike) so growing up, my mother – who only had one daughter for a long time – always called me by my sister’s name before realizing I had my own name. I even have caught my Dad calling me the same thing! “Aunt” – I put this title in quotes because my niece and nephews and I all grew up together as opposed to being born after I was either an older teen or an adult. One child calling another slightly older child “Aunt” was just too ludicrous to consider so now whenever one of them says “Aunt” – you can hear the quotes around it! However, the quotes come off for my 2 great-nephews and niece and for the children of my husband’s nieces and nephews. Sister to my brother and my sister and the name some of my friends and I gave each other as we were growing up. Granddaughter to my maternal grandparents. In-law (daughter-, sister-, granddaughter-, cousin-, niece-) to all those in my husband’s family. Niece to seven aunts and uncles and their spouses who were living at my birth. Wendy – the name given me at birth. Student – I became a student again (after high school) after my youngest daughter was born for a short time and then again four years ago when I returned to college for a few years. Woman of faith – Though there were a few years during my young adult life that I was not a member or regular attendee of a church, I have always had a deep faith and have relied on prayer and my relationship with God through most of my life. Waitress/Clerk/Publications Specialist/Typesetter/Paste-Up Artist/Graphic Artist/Technical Illustrator/Customer Service Rep/After Market Sales Rep/Administrative Assistant – these are all titles I’ve had through my varied employment history. Girl Scout Leader/Troop Coordinator/Cookie Mom – The different “hats” I wore when I was involved in Girl Scout Leadership. Group Coordinator/Treasurer/Public Relations Coordinator – More volunteer titles during my seven years with ToughLove International. Christian Education Board member, Cemetery Board member, Sunday School Superintendent, Board of Deacons member, Women’s Fellowship Secretary, Sunday School and Vacation Bible School teacher, kitchen worker, usher, greeter, refreshment volunteer, and many more – the types of volunteer activities I have participated in at my church as an adult. Student Council Secretary and Youth Fellowship President – offices I held at my Junior High School and in High School at my church. PTA Board member and Room Mom – volunteer activities I was involved in when either my kids or my grandson was in elementary school. Band / Choir Mom – cheering on from the sidelines at all the performances. Webmaster – for my ToughLove International group and my high school class many years ago, and presently for my church. Scrapbook artist and designer – a hobby that I loved until I ran out of room or time or desire to participate in. Digital scrapbook artist – what my “paper” hobby grew into! Family Historian and amateur genealogist – A “hobby” that I am quite passionate about because I love to seek out and solve mysteries, help others in my family learn new information, and to learn more about those who came before me. Blogger – I tried a journalistic type of blog many years ago after reading several types of “mommy” or “woman” blogs but I soon realized that not everything in my life is blogger material. For one thing, I don’t need to write about every aspect of my life and for another, I’m not as comedic as the ladies whose blogs I really enjoyed. I didn’t have that X-factor type of material to bring traffic to my blog. On April 19, 2008 I wrote the first post for this blog and “officially” became a member of Geneabloggers! Participating in genealogy memes, carnivals, and other blog prompts, helped drive traffic to my blog. Those looking for a surname would find my blog. I realized that what I was doing was also “cousin bait”! What a great feeling it is when a distant cousin contacts me and lets me know that I have given them information that they’ve been searching for over a long period of time! Cook/cleaner/laundress/chauffeur/referee – Cooking for a large family, cleaning up after children and grandchildren, chauffeuring kids and grandkids to their respective activities or even to their jobs, and refereeing arguing children or a neighborhood squabble. Wannabe writer/actress/teacher – growing up my “real” career field was always going to be teaching elementary school but my “dream” careers were always being a best-selling author and actress. Born to Glen R Johnson and Vesta C Wilt in September 1921 a year after women won the right to vote, she had never know what it was like to not be able to vote for the person of her choice. The first president she voted for was FDR during his second run for the White House, and he was her choice the following two times. I believe she only voted for one or two Republicans in her lifetime because she was a Democrat through and through. Mom worked from the time she was old enough and most of her early adult career was spent in civil service and then in middle age she engaged in hard physical labor sewing draperies or cargo covers for a company contracted by the military. In her later life she worked in accounts receivable and in office environments. 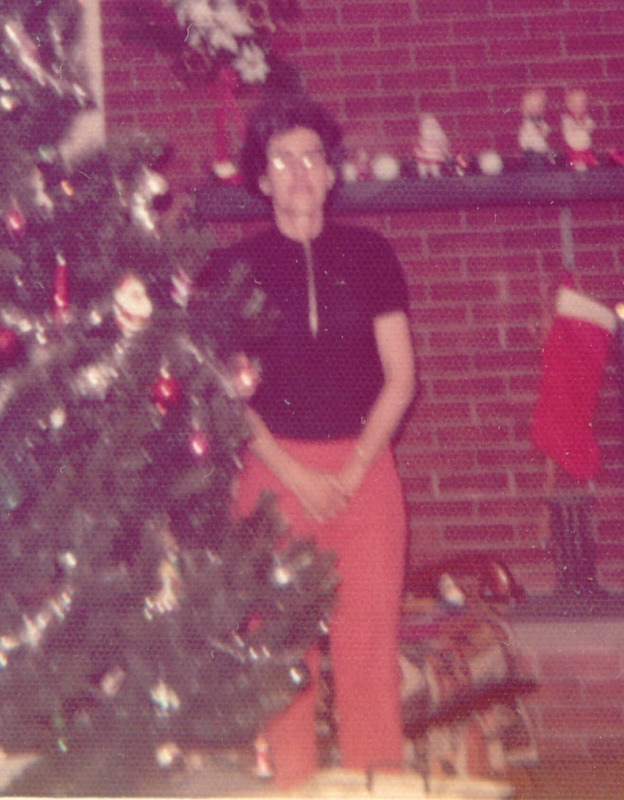 The only time she wasn’t working outside of the home was after I was born until I was about nine, a few times when she was laid off and looking for another job, and when she finally was forced into retirement at the age of 70+. My mother also did a lot of volunteer work for Girl Scouts during my sister’s younger years and when I was in Brownies, for her church, for her Parents Without Partners group, for the Fraternal Order of the Eagles, and for school and community programs. She was opinionated, blunt to a fault, loved deeply (and consequently was hurt deeply many times over the course of her life), and was a brilliant seamstress and homemaker. When she was in high school she was on the girls’ basketball team and enjoyed watching sports of all kinds. Before she died, I found a photo of her on stage in her school’s drama production. Color me amazed as I didn’t know that she and I shared the love of theater. Divorced twice – the first time as a very young adult with a small son to support – she learned to “do” for herself and not depend on someone else. She loved to travel but wanted to put down roots where she grew up. And my mom was always right – always! That was just something those of us who loved her knew. She was the main caretaker for her parents in their last few years. 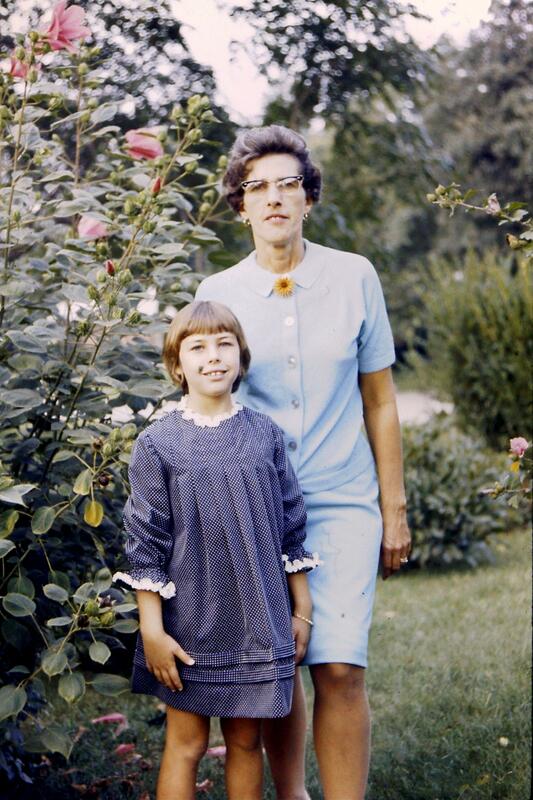 Many things I learned from my mom, I learned from her example (well, except sewing – she will always be the best in my eyes). Her parents, Martha J Stern and Joseph N Wilt, divorced when in 1909 when she was just over 10 years old. My grandmother knew what it was like to be a child of divorce so as I struggled during my parents’ divorce when it seemed as if all the other kids I knew didn’t know what it was like, my grandmother would offer me words of love, support, and encouragement. She really never held a job except to help her step-father run his store when she was an older teen and before she married. One thing I ended up with in her honor was her grandmother moniker of “Nana.” She was the only grandmother I knew who did not go by “grandma” (that is until my own mother became a grandmother – she was “Grammy”). Each time one of my grandsons say “Nana” – I think of her – so that means I think about her about 100 times each day! And when I introduce them to her via her photo on a table in my living room, I tell them that she was my Nana and she is their Great-Great Nana! And she was pretty terrific! Nana was loving and patient. My cousin recently expressed that she remembers the “unconditional love she showed to us” and that was true. I don’t think there was anything any of us could have done to make her withdraw her love and affection for us. During some of my darkest days as a teenager, she always made sure I knew just how much she loved me and was in my corner. I think that was one of the reasons I didn’t go completely off the rails. Nana kept a very neat home. She had oodles and oodles of “stuff” but everything had a place. Unfortunately, one of the side effects of living through the depression, was the tendency to keep everything. Recycling, upcycling or re-purposing items are wonderful and frugal. But saving every piece of wrapping paper – even ironing it to make sure it folded nicely to be used the next time – is a little much. Saving every dry cleaning bag she ever had was also a little much. But that added to who she was plus it gave some of us stories to tell. As the wife of a military officer, she learned to live wherever my grandfather was sent. From being a girl from a small town in Indiana to a world traveler, entertaining other officers and their wives, she made the transition seamlessly. She was always concerned with the impact she had on others. When she was ill and hospitalized, she was always “sorry” to interfere in everyone’s lives and take away their time when they visited her in the hospital. When she relied on others to drive her and my grandfather somewhere, she felt like she was putting others out. But her loved ones and friends gave willingly because she had given of herself so effortlessly and willingly. 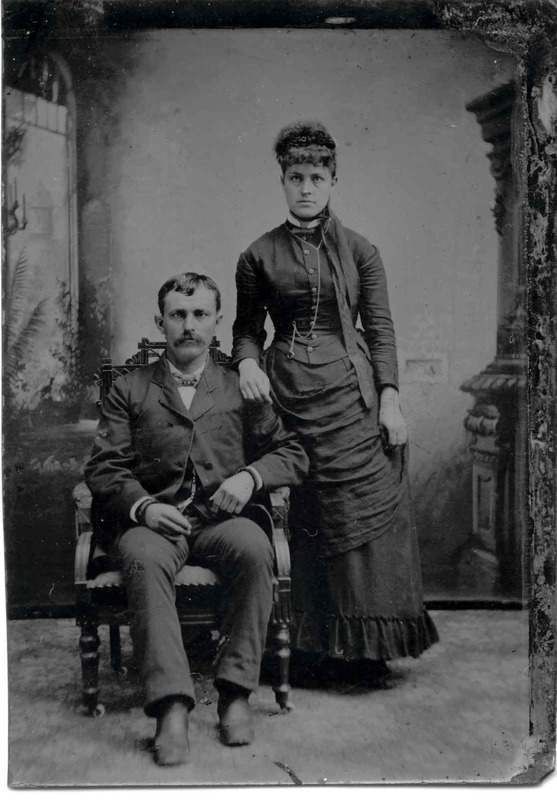 My great-grandmother – whom everyone called Grandma Clawson – was born to Emanuel Bushong Stern and Nancy Caylor in Hamilton county, Indiana in 1872. I wasn’t fortunate enough to meet her as she died five years before I was born. What I know is that she did what she could when my great-grandfather up and left her and six children – the youngest was about three. When she couldn’t get financial support, she went to court. Her oldest son, Clarence, was an adult and her second son, John, was living with his paternal aunt, Sarah Wilt Hofherr and her husband, John. The next son, Jesse, was living in another family’s home and on the 1910 census he was listed as “orphan” which was not true but makes me wonder what the thought process was in order to put that down. My mother had told me that John and Jesse had been “farmed out” by Grandma Clawson because she couldn’t provide for them. However, by 1910, she had married her sister’s widower, W. Frank Clawson, so I am not sure why Jesse and John remained living apart from the family. She and Uncle Frank managed to keep the other three children – which included my grandmother, her younger sister Nellie, and the baby of the family, Clifford – under their roof. 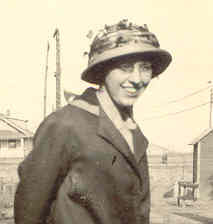 However, my Aunt Nellie was asthmatic (according to what my mother told me) and the doctor had suggested that she should go “out west” in order to help her pulmonary problems. Finding Nellie in the 1920 census living with friends of the family in Oregon (they had known them when they lived in Indiana), before my great-grandmother also relocated to Oregon, gave me pause as I wondered how Grandma Clawson felt having her 17-year old daughter living so far away. Other things that I know about this woman include the fact that she wasn’t in the best of health herself. She had diabetes and my guess would be that she developed Type II diabetes in adulthood. She died of congestive heart failure due to arteriosclerosis. She spent the last thirty years of her life a widow and with her sons, John and Clifford, living with her in Oregon. She never had to bury a child as they all outlived her, but she did have to live through the years that her son, Jesse, was away in WWI and in the hospital after he was injured with mustard gas. She met at least five of her grandchildren and eight to nine of her great-grandchildren. I don’t know if she ever met her son, Jesse’s four children or any of their children. I have one of her recipe’s and several pictures. Born to Abraham Caylor and Susannah Miller in 1840, she lived in an age where women didn’t vote and rarely worked outside of the home – especially in any field that men dominated at that time. She and my great-great-grandfather, Emanuel Stern, had eight children, and they all outlived her – almost a rarity to have that many children without a loss in infancy or early childhood from a disease, epidemic, or accident. 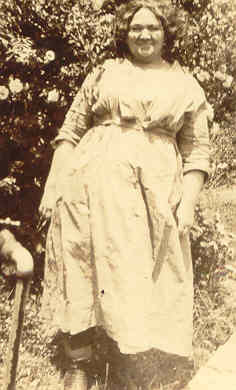 Around 1898 (just about the time her granddaughter – my Nana – was born), she and her husband divorced. 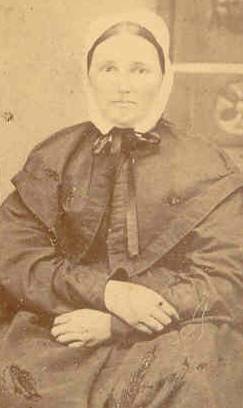 She moved in with her son, Samuel, where she lived until her death in December 1900. My two times great-grandfather was known for wandering around town with his potions and “medicines” and a local paper ran a poem about him called “Doctor Stern” so I wonder if Nancy was fed up with his potion-pushing. I have a picture of her with some of my grandmother’s brothers so I know she loved her grandchildren. I don’t know hardly anything about my four times great-grandmother. She married Joseph Holzafle Miller in Pennsylvania about 1798 when she was about eighteen years old. They moved from their birth place of Pennsylvania to Montgomery county, Ohio before their oldest daughter, Susannah, was born in 1900. She and her husband both died in Tippecanoe, Indiana. Joseph died in 1833 and Catherine followed 22 years later. From her move from Pennsylvania clear to Indiana in her lifetime, I would imagine she was a strong and capable woman and prepared to endure whatever hardships that came her way. She was living in a “new” America as she was born soon after the Revolutionary War. Catherine is the last female I’ve been able to trace on my matrilineal line. She was the “mother” of many strong women. She and Joseph are buried in Hollywood Cemetery in Tippecanoe county. These six women, their life experiences that were passed down to the next, helped to forge the person that I am and will be, whether it was due to the daughters doing opposite of their mothers or by doing the same. Just as I know that these woman and I also have created the people my three daughters are and will be. They will do some things the same as I, some that they will do completely different, and other things a combination (in their minds “better” than I did it). This was written in honor of these women – Mom, Nana, Grandma Clawson, Nancy, Susannah and Catherine. I am lucky enough to have original my maternal grandparents’ original marriage records as well as her parents (Joseph N Wilt and Martha J Stern) and my great-grandparents’ (Emanuel B Stern and Nancy Caylor). I don’t have wedding pictures of either of those couples, but I do have a wedding picture of my maternal grandfather’s parents (Katie J Blazer and John L Johnson). Katie was not quite 19 years old. I have digital copies of marriage records via FamilySearch for John L Johnson’s parents (my 2nd great-grandparents), James Wilson Johnson and Amanda Eveline Mullis, and for Amanda’s parents – John Mullis and Darlett Stanley (married in Wilkes county, North Carolina) on February 22, 1811. Recently, I found the marriage license and certificate (digital copy) for my great-grandfather, Joseph N Wilt, and his second wife, Anna Park. On the line that asked if he had been married before, he listed “no.” When I saw that, I exclaimed “Liar!” at my computer screen (he had walked out on my great-grandmother, Martha, and 6 kids under 14 years old). Perhaps, he didn’t know if the divorce had ever been finalized (it had) and didn’t want to have to legally be bound to getting that information. This is a list of my ancestors who immigrated to America. Adam Goul: My 4th g-grandfather. About 1763 from Germany to Philadelphia, Pennsylvania. Adam was a young boy traveling onboard ship with his mother, father – Frederick, and a sister. All but Adam died on the voyage. Peter Werts: My 5th g-grandfather. Born 1737 probably in Germany and married in 1758 in Maryland. Those individuals that I have no supporting documentation for will have to be researched further until evidence is found of their immigration, marriages, deaths, etc.